Hi! How’s the morning going? Anyone else excited for New Years? We don’t have plans that night, but I was thinking about planning something with our friends and their kiddos during the day. I love turning the proverbial page on another year. It’s a new page after a festive holiday, with the chance to create goals and ditch habits that no longer serve you. It’s a great opportunity to reflect, maintain gratitude, and plan for the year ahead. During this time, I also like to take a look at what’s happened on the blog. I like to get an idea of what you like to see on this little space, and by checking out my top posts, I’m able to assess where I should place my emphasis for the new year. Sometimes posts I think are going to be well-received are huge flops, and others become surprising successes. It’s funny how that works out. 😉 I can already tell that in 2015 we’ll still have Winter and Summer Shape Up (mark your calendars for January 26th! 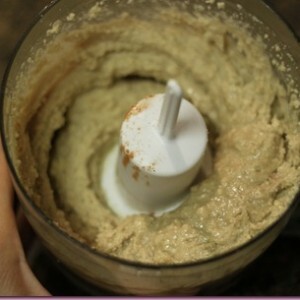 ), more clean recipe posts, more DIY and beauty product posts, and who knows? Maybe another baby food recipe roundup. 25. 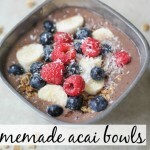 Homemade acai bowls. My San Diego acai bowl addiction is strong. Happy that I figured out to make an awesome acai bowl at home! 24. 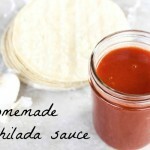 Homemade enchilada sauce. Still a recipe I make frequently. It takes homemade enchiladas over the top, and it’s perfect to have on hand for quick and delicious dinner casseroles. 23. The Tone It Up plan. I still wish they would adopt me. Haha. 22. Breakfast cookie dough cereal. The classic never dies. 21. Grain-free banana bread. just made a batch of this last night! 20. Quinoa pancakes. LOVE these high-protein pancake options without the addition of protein powder. 19. 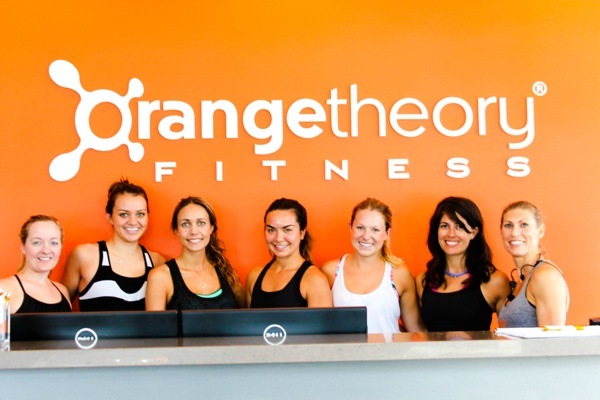 Focus on: Orangetheory fitness. This is one of my all-time favorite workouts, and something I still do at least once a week. 18. Reader’s request: eating clean on the go. These are some snack ideas when you’re going to be traveling or out and about all day. 17. Amazeballs! I went a liiiiitle overboard with these when I first started making them and way too long without an amazeball. Thankfully, I broke this drought yesterday. 16. Homemade orange honey body wash. DIY beauty recipes are a breeze to put together and also very cost effective. 15. 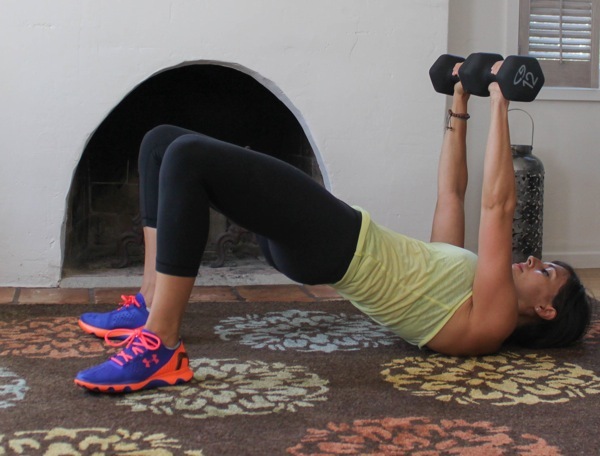 Reader’s request: Weights 101. This is where I break down how to set up a strength training plan. 14. 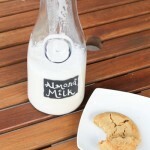 The original breakfast cookie: my first “viral” recipe! I still make it when we’re going to be out in the morning and want a portable delicious breakfast. The mornings that I teach BODYPUMP, I usually have a breakfast cookie or cookie dough cereal in my backpack. 13. Avocado chicken salad. This chicken salad is creamy, crunchy and flavorful, without mayo! 12. Summer Shape Up 2014. Last year’s SSU was a huge success, and I always love creating these free training plans to share. 11. 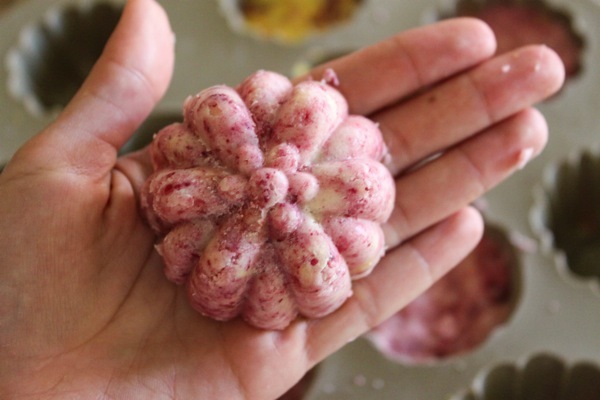 DIY bath bombs. These are fizzy, soft, and smell amazing. They also make an awesome gift. 10. Potty training tips from two nanas. This is where I direct people when they ask how I potty trained Liv so quickly. The answer? I didn’t. Mom and nana did everything in the span of a weekend. They are potty training wizards. 9. The perfect protein pancake. These pancakes are a delicious high-protein breakfast option. Also one of my oldest and most beloved recipes! 8. Meg’s DIY Glitter Cup. Meg came up with this idea, and it’s been featured on quite a few sites for holiday gift ideas! 6. Winter Shape Up 2014. I think the reason this WSU was the best one yet is because we included full videos. I’m working on getting them together for this year’s challenge, too. 5. 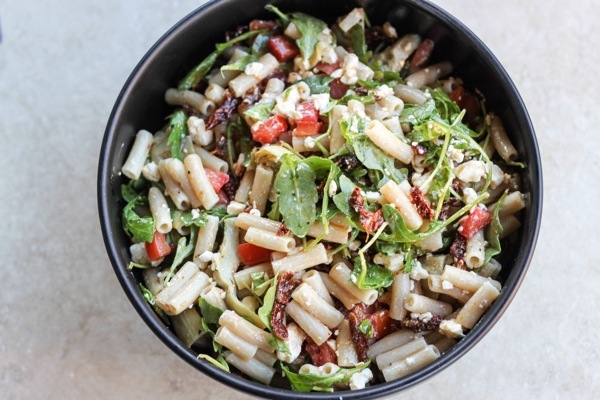 The best pasta salad you will ever have in your life. The title says it all. 4. Baked breakfast cookies. These cookies are a great option for those who don’t love the overnight oat-ish texture of the original breakfast cookie. 3. 1 month of baby food, 1 hour, $20- round 2. 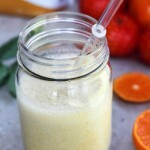 This is the second round of my most popular post with some delicious and healthy baby recipes. 2. My review of the Fitbit Flex. I think a lot of people must google for Fitbit Flex reviews, because this one is just a straight-up review of my thoughts on the product. 1. 1 month of baby food, 1 hour, $20. Two years later, this is my top-viewed post almost every single day. When I first made this collection of recipes, I put it together because it was the type of post that I would want to read and would certainly use with an infant in the house! I was really happy to see that so many have found it useful, and have shared it with their friends. Anything special you’d like to see here in 2015? Please let me know in the comments below! Definitely want to check many of these out since I’m a newer reader. I did a similar post today and it was fun reviewing so many posts I’d forgotten about! Since I’m pretty clueless with strength training I’d love to see posts related to this, particularly workouts you can get done at home quickly. I love all your posts! If I had to chose what I’d like to see more of it would be weight lifting routines. I’ve been an avid weight lifter for years and always looking for new ways to freshen up my routine ever 6 wks. Also maybe you know someone who could talk about swimming for fitness? I’m a new swimmer and having trouble finding a lot of information to improve my stroke and come up with new routines. I actually found your website by looking for Fitbit reviews. Then couldn’t leave your page cause you are from my home town and I got small pieces of home every now and then. I would love to see you sporting a baby bump! I love that picture of you and Livi! You had a great year! Here’s to an even better 2015! Going along with the “fingers crossed for baby #2” theme, I’d love to see some info as you experience it, or some ‘Focus On’ posts related to pregnancy. At 13 weeks I’d love some more guidance on food/workouts/general info while pregnant, and postnatal as well. Those you have categorized under ‘Family’ have certainly been helpful thus far! That acai bowl IS amazing!!! Speaking of the breakfast cookie, do you think a breakfast cookie would freeze well? I’m thinking about whether I could make a bunch and store them in the freezer. 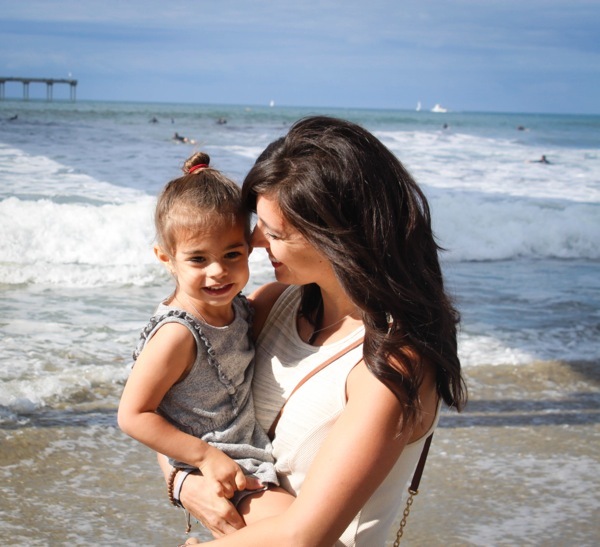 I am nosey and love day in the life posts! 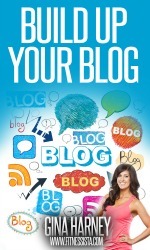 Thanks for sharing on your blog – yours is my favorite and it always brings a smile to my face. I STILL use your Shape Up workouts on you tube whenever I gotta get in a quick sweat at home and they are no joke. Happy New Year! 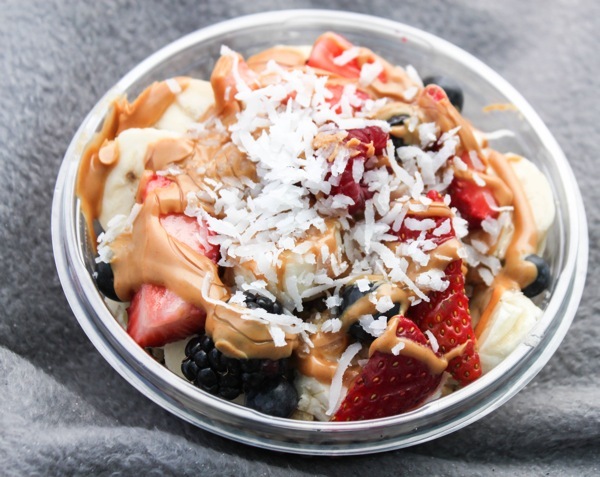 I’ve still never had an Acai bowl, must try!! I agree! I really enjoyed your weekly meal prep and plan posts. I’d love to see that feature come back. You should have a mid-day New Year’s party and count down to noon. Our local library does it and it’s super popular with kids. They have noise makers and confetti and everything. Personally, I love the posts where you talk more about your life and background why you do what you do. Easy and clean recipes are great too. But nonetheless, I just like following your positive attitude, so keep it up! 🙂 And I haven’t read any of the baby food posts, but I guess I need to go back and do that! Ohhh! I missed some of these awesome posts. I love your recipes and make amazeballs all the time. Thanks for sharing with us this year! Great year in review! I am so glad that I found your site in 2014. If you feel like posting more about lunches for a 9 to 5 work day and prep, that would be great. I could also use some guidance on building meal plans and shopping lists. I always over spend and end up throwing things away. I hate seeing things go to waste. Keep it up & have fun ringing in 2015! I would never have thought that your baby food post would wind up #1!! Then again, I’m pretty sure that was my first Fitnessista read a couple years back! And look at me know…still reading 🙂 In fact, I remember it vividly… that and the quinoa muffins helped me out a ton with my daughter at the time. 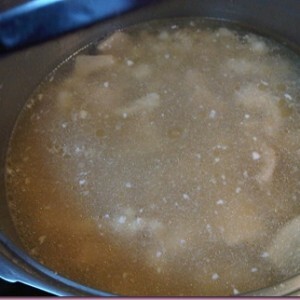 I came upon your blog via a pin for the baby food recipes and hung around for good! I swear by those baby food recipes btw. Banana and pumpkin saved my youknowwhat many times when I had a hungry baby and was short on time! Also that breakfast cookie reminds me of my oatmeal and a little bit of a reminder of my granola bars but I think my daughter and I are a little heavy handed with the chocolate chips in our granola bars. Great list of articles here though, Thanks! I’m a fan of anything written about balanced living. That’s general but it can go in a lot of directions. I also like posts about food, looking for healthy inspiration all the time. This is a great round-up of posts Gina! I have to say, I first stumbled across your blog back in 2011 when I was obsessed with finding the perfect protein pancake recipe…and yours is def a favorite of mine. I’ve been a loyal reader ever since! What a great recap that brought me back to some of your older posts. It must be so rewarding to see that posts you did so long ago still ring true and are still important. That’s the sign of a great blogger! Thanks for posting-loved seeing some I hadn’t read before! I will SO be checking out that potty training post!! And bookmarking a bunch more! I think the baby food posts will come in handy whenever I get around to having another kiddo haha! It’s so interesting to see what posts do so well. I want to make it a challenge this year to do a variety of posts and figure out what mine will be :). I would love to see the winter shape up modified for someone postpartum. Or just fitness tios for getting back into the swing of exercise after a lot of time off. we included low-impact modifications for all of the exercises. sending love to you and hope you’re feeling better soon! take it easy initially to recover from such big physical event. your body will tell you when it’s ready! thank you so much for reading, and congratulations to you! Gina, I really enjoy every aspect of your blog. Your personality really shines through and it brings me back each day to read more. I would love to see you continue the following in 2015: 1. more recipes (I am in LOVE with your persimmon smoothie and make it very often) 2. more focus on posts (though we don’t have a lot of variety in Richmond, I love reading these and always bookmark them in my mind as a “need to try” when traveling to different cities 3. more product reviews (I really appreciate that these are few and far between on your blog. I come to your blog to read about you and your life, but I love that you incorporate these every so often. I asked for juli shoes and an Erin Condren planner this Christmas because you mentioned them. Can’t wait to use both. Happy New Year…and best of luck with babe #2. I really like all of your posts…so friendly & informative. I would like to see more livi-isms (they totally crack me up) and perhaps more playlists…I’m always in need of new music to workout to. 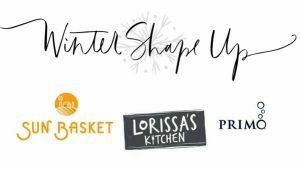 So looking forward to Winter Shape Up! I use your recipe for a banana split smoothie every Friday. I love it so much!! It’s such a great “treat”. It took me a month or two before I finally had it memorized. also… its been a while since you’ve posteed some core burtners? LOVE the longer barre burners though! i didn’t do my training, but am hoping to start soon!!! i will definitely share as much as i can with each new cert <3 and definitely have some core burners on the way!! Thank you for another year of absolutely amazing blog content! When I stumbled upon your blog 5+ years ago as a college freshman, I had no idea what an impact your blog would have on my perspective on health. I was at a dangerously low weight at the time, and definitely subscribed to a “less is more” attitude towards food. Your blog showed me that being healthy doesn’t mean eating like a bird, that weights are not the enemy, that SunWarrior is the greatest ;), and that living healthfully should be a joyful experience! thank you so much for reading for so long, annie! 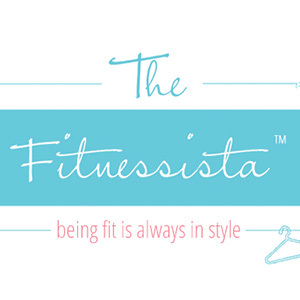 so happy you’ve enjoyed the blog and have made some amazing healthy changes for yourself. sending lots of love to you! 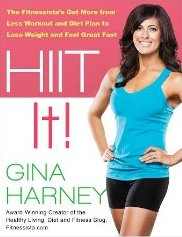 thank you for your support of “hiit it!” too. it means so much to me! <3 happy new year and hope you're having a great weekend!